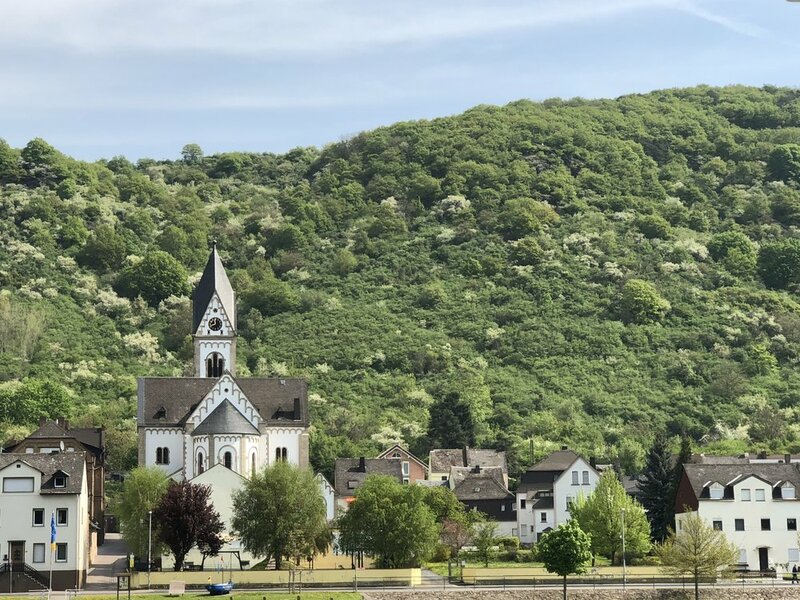 River cruising highlights from Switzerland to The Netherlands with Tauck. 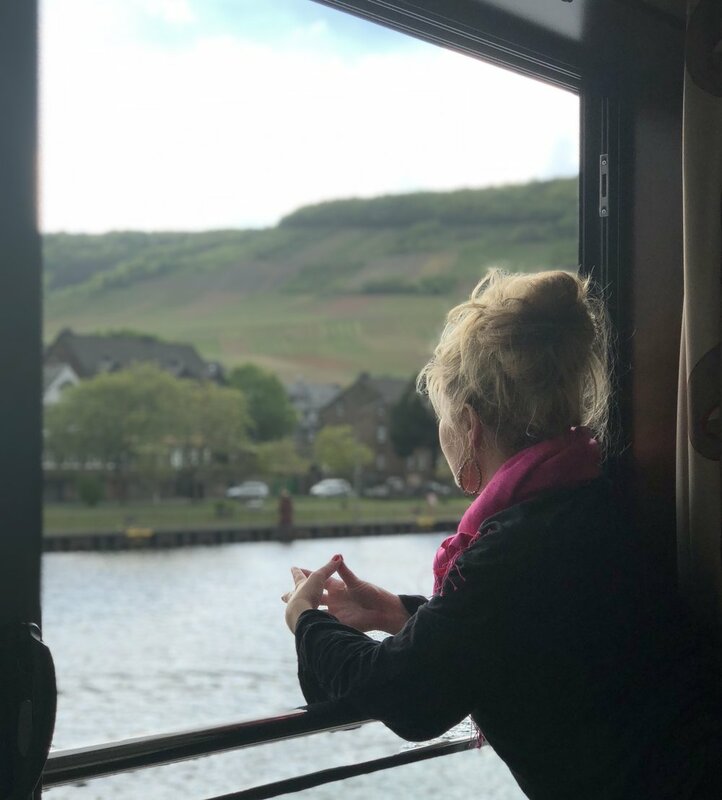 When you think of river cruising on the Rhine, do you imagine yourself sitting on the deck, local wine in hand, watching the castles pass by? If you do, you are right! It's a vacation with culture, fun, camaraderie, and everything done for you and delivered to you. It's pretty perfect. Usually there is a choice of excursions with each disembarkation in ports. 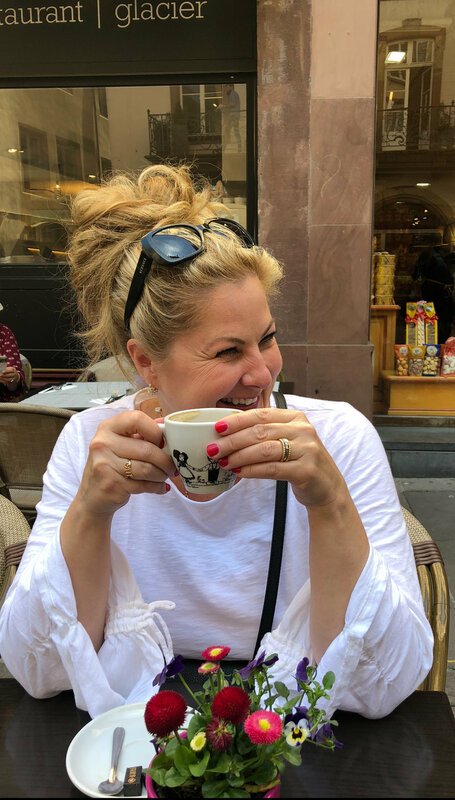 This day, after a city tour by a local guide, we chose to walk around Strasbourg, stop for a cappuccino, and find some treasures for purchase. 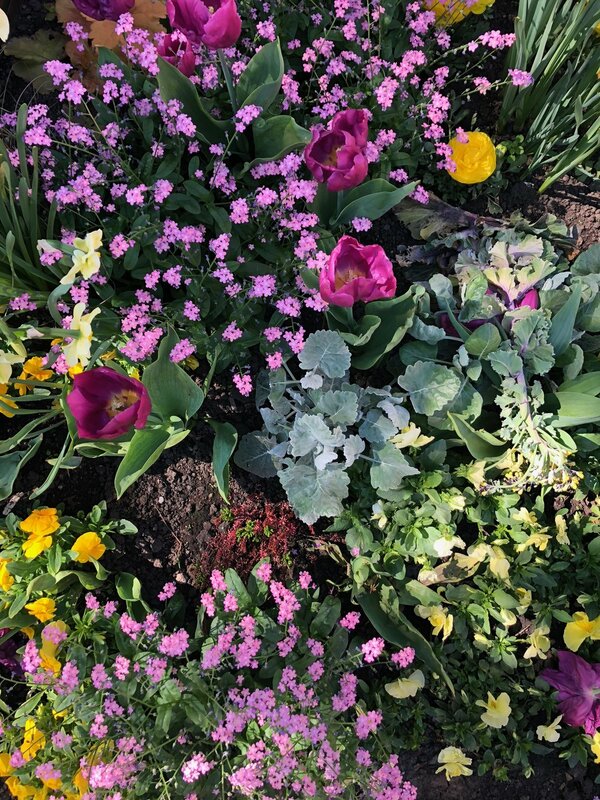 April and May in Europe are quite lovely; flowers everywhere! We were fortunate to have glorious sunny and warm days. I adored the metal signage everywhere! One was more beautiful than the next. We loved hearing the legends of the castles. 1686 seemed to be the destruction era. Riveting castle legends of royalty, love, and loss all had a similar ending as the French invaded, burned, and destroyed these magnificent stone structures in ....primarily 1686! 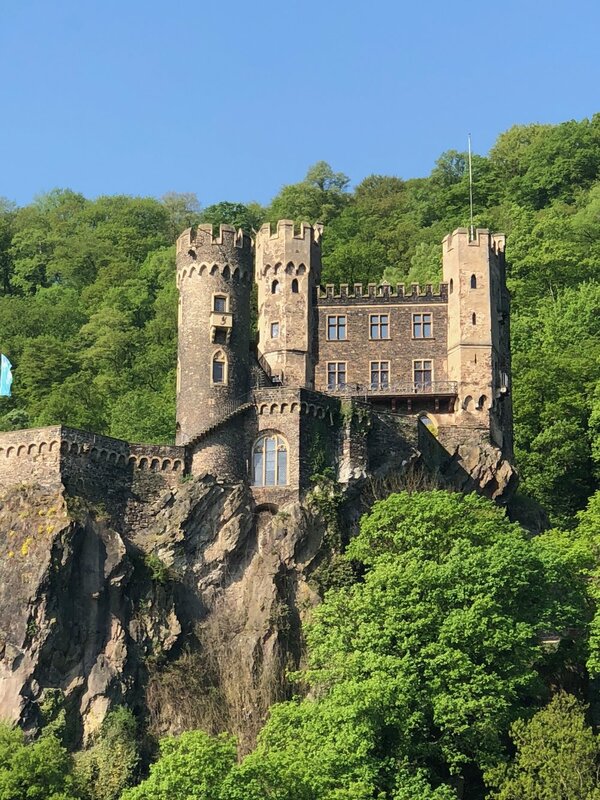 Thankfully not to be left in ruin, William of Prussia, circa 1800, rebuilt many of the castles to their original state, and we admire them today. We walked up to admire the view from the Abbey. Enjoying the view from our suite. While the highlights were too many to count, I especially loved the castles and the architecture along the way. Let's get you on a river cruise! There's a reason they are so popular, and you need to experience one in style. Send a message to me, and let's get you booked.